In 1857, on the eve of the American Civil War, painter Eastman Johnson visited Mount Vernon, the Virginia home of George Washington (1732 – 1799). 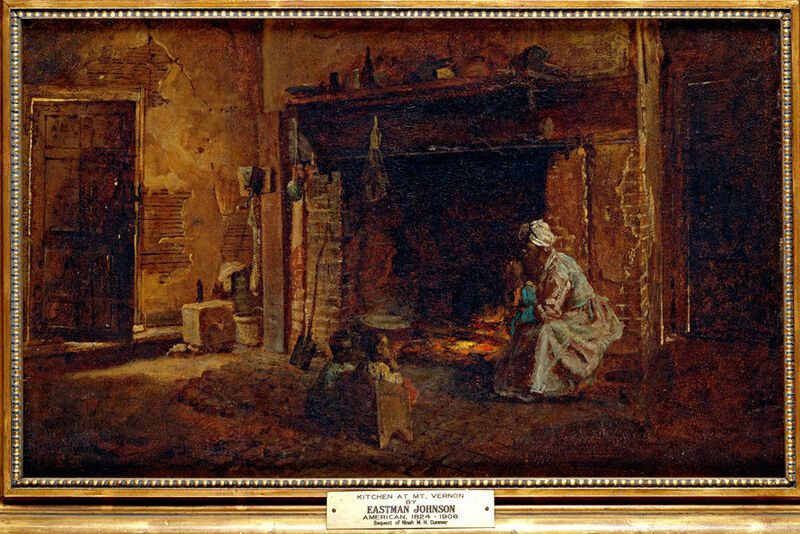 Johnson painted many iterations of the estate’s kitchen before 1865, each showing an enslaved African American woman and small children. Twenty-six slaves remained on the plantation at the time of Johnson’s visit, and his works reflect the degree to which the once-great estate had declined since the president’s death. The year after Johnson’s visit, a group of women organized the Mount Vernon Ladies’ Association, which purchased and restored the property. The plantation remains under their care today.